Gawking at the activities of fishes and plants for hours is my ultimate stress-buster, but it takes a certain amount of planning and learning before getting started. I know the nervousness, excitement, and thrill you feel, all at the same time, before buying your first aquarium. I have been there too. I also know how difficult it can be for beginners to choose the right fish tank size. You have to keep a lot of different factors in mind. But one factor that confuses people the most is whether to go for a small tank or a big one for the first time. Buying a large aquarium, say of 80-90 gallons might seem intimidating. 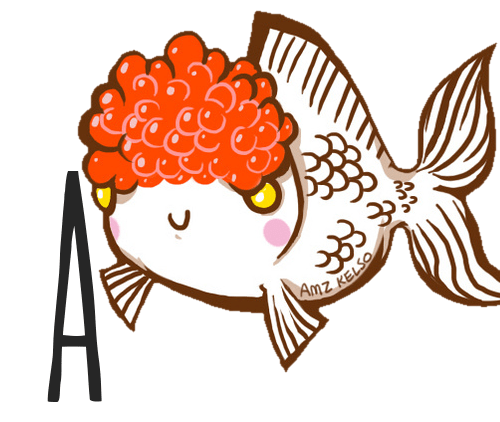 But trust me, it is a better idea than going for a small fish bowl, especially if it’s your first time. This article is a guest post from Aquarium-keeper.com! Ask any aquarium expert and he or she will tell you the same thing. If you invest in a large aquarium the start-up cost might be high, but it will save you money in the long run. How? The principle advantage of having a big aquarium is the room it offers for the fish to swim, play, jump and swirl freely. If you start off with a small tank, you might find out that the size of the tank isn’t roomy enough for the fish. 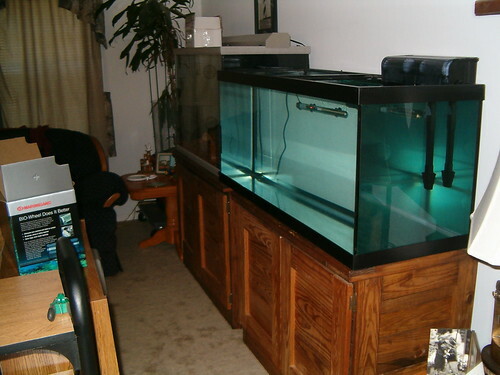 Large aquariums let you have enough space for the aquascaping. You can decorate in any way you wish without constraining the swimming space of your fish. If you wish to own more fish in future, you can add them in the same tank instead of buying a brand new one. On top of that, tanks up to 80 gallons are way easier to maintain than small tanks of around 10 gallons: it is pretty easy for a beginner to overcrowd a small tank and overfeed the fish. Overstocking in a smaller aquarium is very easy. This will be followed by a quicker waste build-up in the water, resulting in you having to change the water frequently. The chances of overstocking a large fish tank are less. The large amount of water it contains will also result in less waste accumulation and promote a better chemical dilution. This will keep the ecosystem pollution-free for a longer period. If you’re worried about the fact that cleaning the water of a big tank is a tenacious process, you’re overthinking. Now-a-days, many hi-tech water changing devices, such as the Python system, are available to cut down the labor. One of the other critical parts about aquarium maintenance is keeping the temperature right. Temperature fluctuation happens quickly in a small amount of water. You will constantly have to keep the temp in check to make sure your fish and cycle are safe. The temperature stability in large tanks is much higher due to a large amount of water it contains. It will take longer before the water temperature or quality can affect the inhabitants. Thus, maintenance is way easier. I know some of you must be worrying about the fact that the risk of leakage in bulky tanks are higher. I won’t deny the fact, but if you buy a quality tank, you need not worry about it much. Just make sure to locate the aquarium in a safe corner, away from the reach of kids. Place it on a sturdy, leveled surface. Last but not the least, big tanks are an essential if you’re housing aggressive species. Many fish are infamous for being overly possessive about their territory. Keeping them in a small tank is the worst idea ever: they will die fighting. Keeping them in a spacious tank will allow them to swim together freely and maintain peace. To conclude, taking care of small tanks requires a certain amount of expertise and experience and a lot of money. The tank itself might come cheap, but you will require an expensive filter and very regular water changes as I said before. The upkeep of a large tank is not nearly that demanding. I do want to remind you that all fish tanks require you to be vigilant about them, irrespective of their size. So, choose your aquarium wisely! If you have any more questions about choosing an aquarium or want to share your own experiences, don’t hesitate to leave a comment below! Cover photo: Piranha-Tank-Aug_021 by ghostsword. We are redoing my son’s room with an underwater theme, and we are considering putting in an aquarium. But I am curious to know what type of tank would be best for us to use. I like how you pointed out that the bigger, the better. Especially if we will be able to decorate it any way we want, and the fish will be able to swim with as much space for the fish.